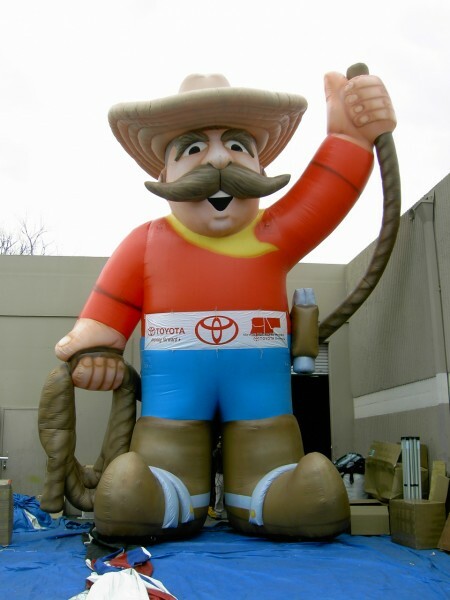 Giant custom inflatables can be your company's brand character, mascot, or product replica. If you can imagine it we can probably manufacture it for you. Be the center of attention at any Retail Store, Corporate Convention, Trade Show, Meeting, or Special Event! Your imagination is really the only limitation as we use CAD Engineering Design to create designs used on main street for retail businesses to Hollywood for movie productions. 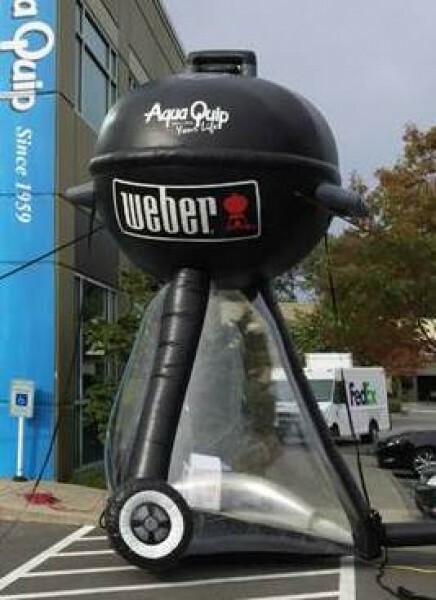 Anything from a giant spider, dolphin, or bird, to mechanical replicas like a vacuum cleaner, gas pump or giant guitar…your dream can become a custom inflatable design for product branding, store impact, and more! The Only Limit is Your Imagination! VIEW Custom shapes, and Product Replicas, can be of any logo or product. Made with Heavy-Duty Vinyl Material. Full Seams & Air Blower Warranty. Cost-Effective Impact gives you the “wow” effect at your event. Greater visibility for your brand or retail location. 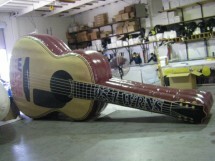 USA Outdoor has the ability to make a wide variety of custom shapes in all sizes. Let USA Outdoor help your product or company be the Center of Attention! 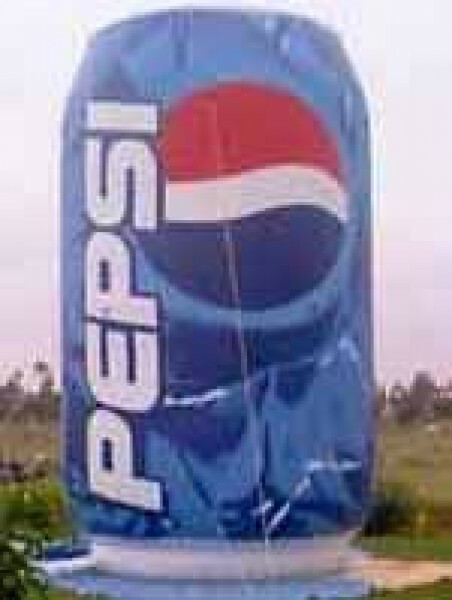 We manufacture large quantities of custom inflatables. 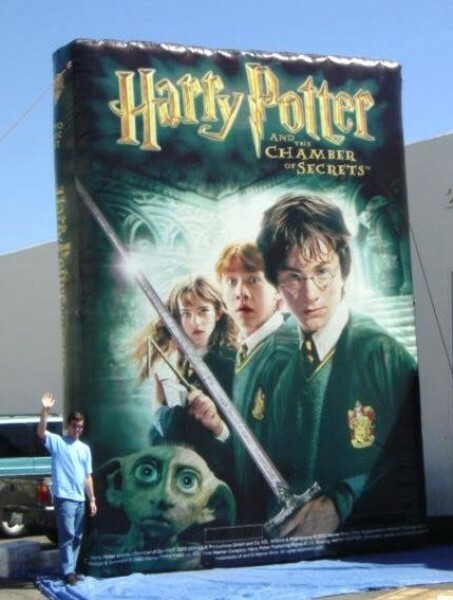 Have you ever seen a giant 3D inflatable advertising a sporting event, concert, or retail location? Advertising balloons are fantastic tools for raising awareness of your latest sale or special event, making them the perfect choice for your business. Custom inflatables of mascots, logos, or brand characters easily tie down to your building’s rooftop area or parking lot. With simple removable banners, they’re a great choice that can be used for a huge range of special events, sales and discount offers. 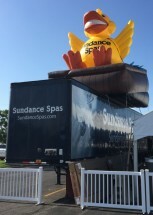 Custom Inflatables outperforming direct mail, TV advertising, and other widely used marketing options to creating an event around your business’s latest sale or event, there are numerous ways our advertising balloons can help your business benefit. Use Your Imagination...We Can Make it Happen! Our high quality heavy-duty vinyl advertising balloons are the perfect marketing tool for retailers in need of a fun, effective way to deliver their marketing message. Easily customizable, it’s quick and simple to switch out the balloon’s banner for different events. Promote your annual or seasonal sale to a huge audience of passersby that travel close to your store. 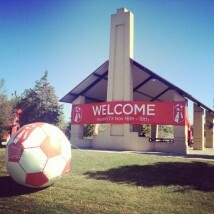 Custom Inflatables are unique to your specific brand or event. Communicate your store’s marketing message or value proposition with ease in a quick and simple way. Our heavy-duty custom inflatables are designed to work great in a huge range of weather conditions and settings. There’s a reason both marketers and the public like inflatable advertising balloons: they’re unique, interesting, and very effective. Giant custom inflatables (mascots or logos) outperform TV, radio, newspaper advertising and direct mail marketing when it comes to ROI. 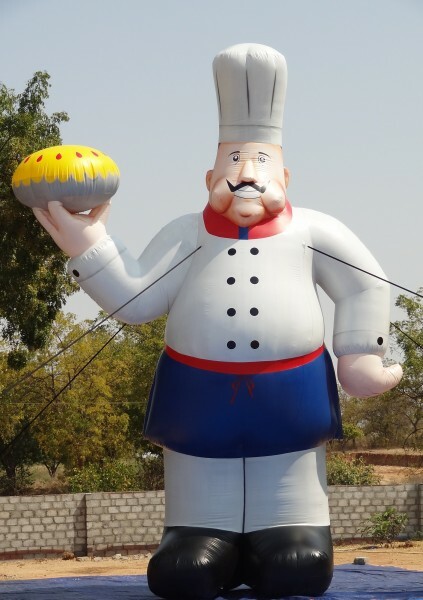 In addition to achieving a higher ROI for your business than other forms of print and direct marketing, inflatable advertising balloons put your message in front of a wide audience that’s highly likely to take notice. Better yet, custom inflatable balloons work incredibly well alongside other forms of direct marketing, such as direct mail or print advertising. Build awareness with a print or TV campaign before using an custom inflatable advertising balloon to close the deal. Make every visit near your store a Huge Marketing Event! Custom Inflatables are unique, interesting and highly memorable. 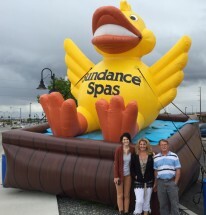 Each and every time a prospective customer passes by your retail store, restaurant or location and notices an custom inflatable balloon, your business’s brand awareness increases. Even better, passing by your location becomes an event. A large advertising balloon is the perfect marketing tool for setting your company apart from its competitors, or simply from other businesses in the area. The key to effective marketing is being noticed. Our custom inflatable advertising balloons offer a creative, interesting and highly effective way to communicate your message and ensure your target audience notices your business. From promoting your upcoming sale to raising awareness for a special event, there are few marketing goals that custom ad balloons can’t help you achieve. Give your business a powerful new marketing tool today with our custom inflatables.